“Who would have guessed that it would be an injured Daniel Cormier and not an incarcerated Jon Jones who would derail the highly anticipated rematch between current and former light heavyweight champions? After it was announced that Cormier would be unable to make it to the April 23 showdown with his nemesis due to a leg injury, there was a brief period of uncertainty. After all, this is the same Jones that turned down a short-notice fight with Chael Sonnen at UFC 151 in 2012. 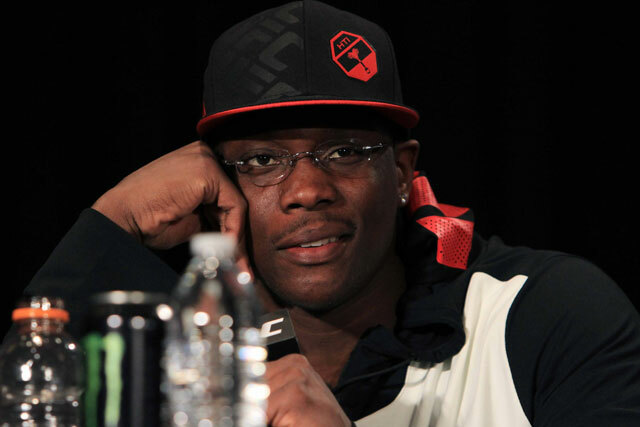 Thankfully, Jones remained the card’s anchor, but instead of a grudge match for the undisputed championship, he will now face a new opponent in Ovince St. Preux for an interim belt at UFC 197. It is hard to deny the intrigue that a second Jones-Cormier fight piqued, but if I’m being honest, I think I prefer the St. Preux fight. At least, I like what it represents: a change.